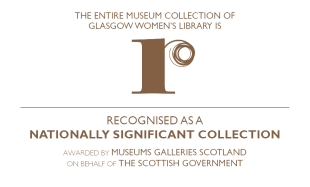 Glasgow Women’s Library has successfully hosted many work placements and internships including short term work experience for school aged students through to international internships and university work placements that have involved varied levels of involvement in project or programme delivery working beside learning or collections staff team members. Work placements: For school pupils and students looking for a time-limited placement as part of their studies. Internships: Usually time-limited (1-6 months), with a minimum of 2 days per week, and funded either by an academic institution or funding body (organised by the intern) or occasionally by GWL (the latter will be advertised in the News section and tagged with ‘job vacancies’). Internships offer the chance to gain work experience and skills relevant to one or more of GWL’s areas of work. Volunteer opportunities: For anyone who wants to give a few hours of their time (up to 7 hours a week) to any aspect of the organisation’s work in exchange for learning new skills, meeting new people and being able to contribute to our work in a safe, supportive and creative environment. For information about volunteering please visit the Volunteering page. You may also be interested in joining our volunteer programme.